Hans Fuss was born on 19 September 1920 at Altenhof near Merseritz in Westpreussen. In autumn 1941, Fuss was posted to JG 3.  Leutnant Fuss was assigned to 4./JG 3. He gained his initial victories over the Eastern front on 22 June, when he shot down two Russian fighters. By the end of June, he had increased his tally to seven. He recorded his 10th victory on 12 July, when he shot down a Russian DB-3 twin-engine bomber. On 17 October, Fuss claimed four enemy aircraft shot down to record his 19th through 23rd victories. In early 1942, 4./JG 3 was relocated to the Mediterranean theatre. Operating from bases in Italy, Fuss flew missions over Malta without adding to his victory total. In May 1942, Fuss returned to the Eastern front as Adjutant of II./JG 3 under the command of Kurt Brändle (180 victories, RK-EL, killed in action 3 November 1943). He claimed his 30th victory on 27 May, when he shot down a Russian MiG-1 fighter. On 13 June, Fuss was required to force-land his BF 109 F-4 near Artemovskaya. The cause of the incident is not known but he escaped injury. On 24 June, Fuss claimed his 40th victory, when he shot down a Russian LaGG-3 fighter. He recorded 17 victories in July. By August, Fuss was serving with 6./JG 3. On 7 August, Fuss claimed six enemy aircraft shot down (61-66). 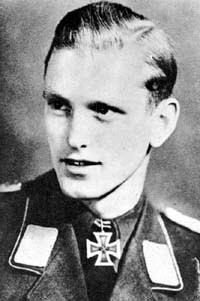 Leutnant Fuss was awarded the Ritterkreuz on 23 August for 70 victories. He was then sent on a period of leave. On 14 September 1942, Fuss shot down a Russian Yak-1 fighter on his first combat mission after returning from leave. However his Bf 109 G-2 (W.Nr. 13 758) received hits in the fuel tank during the engagement. In attempting to return to his base his aircraft finally ran out of fuel. He attempted a landing near Dedjurewo but crashed receiving serious injuries. Fuss died from complications of having a leg amputated in a hospital in Berlin on 10 November. Hans Fuss was credited with 71 victories in over 300 missions. All his victories were recorded over the Eastern front and included 15 Il-2 Sturmoviks.